ORR is the federal agency providing new populations with the opportunity to achieve their full potential in the United States. Refugees are eligible for any social service and/or financial assistance programs available in the United States. However, due to language and cultural barriers, sometimes it is difficult for refugees to access such services. The agencies listed below (in alphabetical order) have experience working with refugees and their needs, but please don’t hesitate to refer your clients to specialized services elsewhere as well. For health-specific resources, please scroll to the bottom of this page. ‘Refugee’ is a very specific immigration status. Not all immigrants to the United States are eligible for the same services that refugees are. If the clients you are working with have other types of immigration status or prefer Spanish language services, a good place to start is The Juan Diego Center. The Juan Diego Center provides food assistance, family enrichment, immigration legal assistance, the Latina Resource Center and micro-business training. 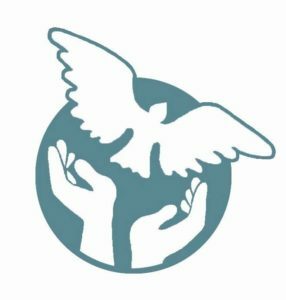 The Benson Area Refugee Task Force (BART) is a neighborhood-based collaboration of individuals, organizations, and houses of faith, founded to serve the refugee community. BART continually celebrates, educates, and advocates for the refugee community, empowering them to succeed in all aspect of daily life. BART strongly supports efforts against suppression of refugees and other vulnerable groups both locally and nationally. Connections is a program that helps children in kindergarten through eighth grade who are having problems in school, with peers, or at home. Connections works with parents, schools, and health care providers to access quality mental health services. Our goal is to offer help before a child is at risk of becoming involved with the juvenile court system or involved with a CPS worker. We help school professionals recognize students who could benefit from talking to a trained counselor that works with children. We also provide counseling classes/groups for students to work alongside other students and recognize that they are not alone. Our Connections team will identify potential barriers to access and actively work to resolve these barriers. If you are interested in this program, please ask to speak to your child’s school counselor or call 531.301.5079. Embrace the Nations is a Christian non-profit organization that assists refugees in multiple areas of need and assists the public in better understanding and interacting with theses newer populations. This organization addresses the needs of cultural groups through physical, social, literary, and spiritual services. Refugees often face housing difficulties in their first few years in the U.S. Fair Housing Advisory Services can assist with issues of housing discrimination, unfair landlord charges and maintenance issues, home buying education, and more. Positive Parenting Group (PPG): We offer parenting classes in Karen and Burmese languages twice a year, once in the spring and once in the fall, in conjunction with Omaha Public Schools’ Migrant Education program. Classes are held at OPS elementary schools with a large Karen population, typically Walnut Hill or Kennedy. Ready in 5 program: A school readiness program for preschool age refugee children and their parents. The program provides quality early childhood experiences for the families through in-home groups in refugee neighborhoods. We hold 17 in-home groups throughout North and Midtown Omaha. The program’s main focus is on empowering parents to act as their child’s first teacher. Families are also assisted with enrollment into Head Start, Pre-K, and kindergarten. The program is a collaboration with Heartland Family Service and the YMCA. The Hunger Collaborative is a partnership among Heart Ministry Center, Heartland Hope Mission, Together and Food Bank for the Heartland. This collaboration formed as a commitment to fight hunger through collective impacts and shared resources. The Hunger Collaborative works with many community partners in a concerted effort to lift Omaha out of poverty through sustainable solutions to hunger. The Intercultural Senior Center service the senior immigrant and refugee community of Omaha, providing dignity, wellness, and the opportunity to for the elderly to share their talents wisdom with others. Their mission is to improve dignity, quality of life and physical well-being of seniors from around the world through advocacy, education, access to social services, and cultural enrichment activities that benefit the entire community. Lutheran Family Services provides healthcare services centered around family and community life. They offer these services across Nebraska and the Council Bluffs Iowa area. The Lutheran Family Services Organization is vastly experienced in working with refugees providing, children services, community services, and behavioral health services to help meet the needs of the refugee community. International Center of the Heartland – Provides a single location for immigrants to find answers, guidance and expertise for their social service, legal, employment, and housing needs. Walk-in hours are Mondays from 9:00am-2:00pm. Culturally appropriate food pantry available. NATI exists to inform, train, and assist those involved in the translation and interpretation industries. NATI has a database of members who can be contacted for translators and interpreters. The Omaha Public Library is a wonderful resource for refugees and immigrants. In addition to their usual array of services, libraries have teamed up with The Literacy Center to offer ESL (English as a Second Language) classes and other support programs. The goals is to empower adults and families by assisting them acquire the literacy skills and practices need to be active members of their community. 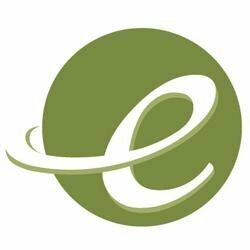 Their website keeps the most up-to-date resource list of local ESL classes being offered around Omaha. The Omaha Public Schools English as a Second Language program responds to the needs of English language learners in an effort to provide optimal educational opportunities. The ESL program promotes a culturally responsive learning environment where students’ first language and cultural identity are nurtured. Yates ECP (brochure) supports refugee and immigrant adults in learning the skills that will help them be successful in their new community. Programming is open to all English Language Learning families and follows the OPS elementary school calendar. Classes include ESL, sewing, citizenship, and cultural orientations. Interpreters, community garden, and social worker on site. THRIVE is an after school leadership and community service club for refugee and immigrant youth at five area high schools. Migrant Education supports families working in the agricultural industry. Saturday school and July summer school are just two of the many benefits provided through this program. OTOC seeks to recreate community and bring together society on all levels. 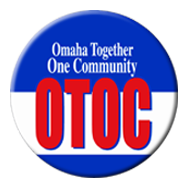 OTOC is an education and advocacy group for immigrants and refugees in the Omaha metro area. Their focus is to bring light to problems and issues that refugees face in society today. They also provide education and leadership classes to teach people to become effective leaders, communicators, and builders of their own community. Institute for Public Leadership – The Institute for Public Leadership empowers diverse and emerging communities by developing leaders to act for justice and the common good. IPL is an affiliate of OTOC. Provide training, information and support to Nebraska families with special needs children age 0-26 years. Children with disabilities will be prepared to lead productive, independent adult lives to the maximum extent possible. Ready In 5 is an children’s education program is a partnership of the YMCA of Greater Omaha and Heartland Family Service. The program prepares refugee children and their families for the American school system. Their goal is set the refugee families up for success, by teaching refugee children basic cognitive concepts and social skills they will need to be successful in the Omaha public school system. The program creates a support system for refugees, introducing them to American people and culture, helping them build confidence and hope for refugees at they look forward to their future in America. The Refugee Empowerment Center assists refugees who are transitioning from their own culture to American life. They focus on helping refugees live and work productively, further education, and achieve a better life for themselves and their families. They empower refugees to integrate into their news homes and obtain the skills necessary for self-sufficiency. 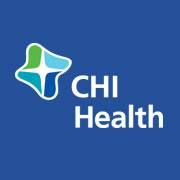 CHI University Clinic at 2412 Cuming Street, (402) 717-0380 performs the initial health screenings for all refugees who are resettled directly to Omaha. Many refugee families keep this location at their primary care provider. It is especially important for new refugee families to finish their vaccine series here in order to apply for their green card in a cost-effective and timely manner. Dr. Joseph Dumba and his wife Sabina fled the violence of South Sudan and now practice medicine through Methodist Health Systems. They speak Arabic, Bari, and (Ki)Swahili. Looking for a mental health provider with refugee, asylum seeker, or immigrant experience in Nebraska? Click on the link above and find a mental health provider now! One World believes that everyone deserves access to the best health care possible, regardless of economic or insurance status. In partnership with the community, they provide culturally respectful, quality health care with special attention to the under-served. Provides therapeutic child, adolescent, and adult behavioral health services. In addition, provides trauma informed therapy, organize workshops with refugee serving agencies, and home visits. Can fluently speak Swahili and have experience working with other refugee groups before with interpreters. Accepts major insurances, Medicaid, and out-of pocket pay. Culturally relevant information in multiple languages and formats about health conditions and wellness topics. You can search by language or topic for resources, cultural backgrounders, clinical tools, and guidance about specific immigrant, refugee, and asylee populations. NSW Refugee Health Service’s on-line Translated Appointment Reminder Translation Tool allows you to translate appointment details into your client’s language. Just type in the details, then either print or save the PDF. Your form is generated immediately so you can give it to your client at the time you make the appointment. Gulf Coast Jewish Family & Community Services provides comprehensive care for refugees, asylees, asylum seekers and survivors of torture and genocide by partnering with numerous organizations including major refugee resettlement agencies. Their Information, Country, and Condition Guides are particularly useful, as well as the many webinars, training materials, and resources. This site has especially great cultural information on mental health. EthnoMed is an ethnic medicine website containing medical and cultural information about immigrant and refugee groups. It is specific to the Seattle region, but its cultural and health information is applicable in all geographic areas. The purpose of the website is to make information about culture, language, health, illness, and community resources directly accessible to health care providers who see patients from differ ethnic groups. This link contains general information about refugees as well as statistical facts, histories, and cultural backgrounders on specific ethnic groups. This link contains flu materials for refugees, covering a basic overview of the seasonal flu, prevention of the flu, and a how to guide to care for children with the flu. 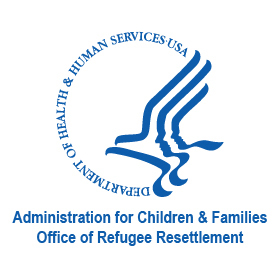 The Refugee Health and Technical Assistance Center is dedicated to improving the well-being of refugees by providing tools, resources, and support for health and mental health providers. Through this website one can: find basic information about refugees and their access to health care, learn about physical and mental health issues among refugees, download training materials and resources, and sign-up for newsletters and webinars.